This year the Academy of Nutrition and Dietetics’ theme is “Go Further with Food“, while the Dietitians of Canada’s is “Unlock the Potential of Food“. We know that food is meant to be enjoyed, but also that the food(s) you choose make a real difference on your well-being. 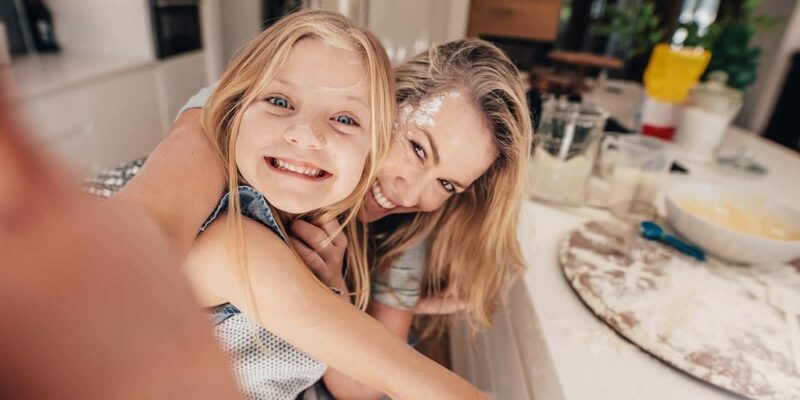 These two themes remind us to start our day off right, snack wisely, fuel for athletic performances and use food for prevention or managing chronic conditions. Planning meals and snacks ahead of time, cooking at home, teaching food skills to the next generation and enjoying food with others are also important when it comes to choices, health and reducing food waste. Food has the potential to foster healthy habits in children by teaching them to shop and cook. 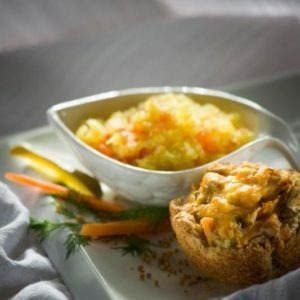 With this Savoury Tuna Cup recipe kids can help peel the eggs or grate the carrots or cheese. 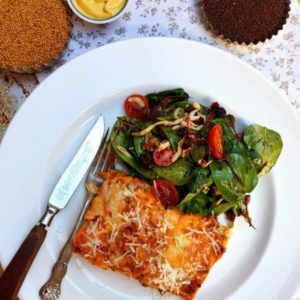 For busy times, it can help to prepare things in advance, such as with Mustard-Spiked Make Ahead Coleslaw, or to cook in big batches when making soups or casseroles, such as our Mustard Cheeseburger Lasagna. Check out more #MyMustard recipes here! Food is fuel; stay energized by planning nutritious snacks into your day. Whether you’re looking for a grab and go item like these Mustard Up Energy Bites (below) to add some flavour and protein, use snacks as a way to fill the hunger gap between meals, while also adding a nutritious boost to your day. Food also has the potential to bring us together. Enjoy the benefits of bringing families and friends together with food. Holidays are a great time to share traditions and sit down with others to enjoy a home cooked meal, good conversation and to let the younger ones pitch in. Check out our Pinterest Board full of Easter Recipes and start making your grocery list. 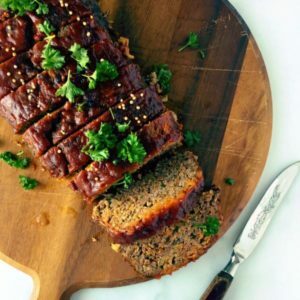 In the mean time, enjoy a classic Tomato Glazed Meatloaf from our online #MyMustard collection, it not only screams ‘comfort food’, but also ‘family meal.’ Plus, the leftovers are great in sandwiches. Order a copy of Mustard Makeovers & More for 100 family-friendly meals and continue enjoying food together all year long!